The Beacon, a luxury residential complex in Jersey City that only two years ago faced an uncertain future in a struggling economy, is roaring back, developer Paul Kuehner crowed today. Five of the complex’s eight Art Deco-style buildings have been restored, while nearly 50 percent of the 231 luxury units in the newest, the Paramount, are now rented, according to Kuehner. 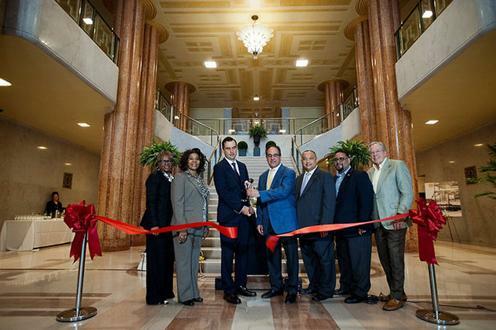 This didn’t seem at all likely in 2012, but Mayor Steve Fulop, on hand today for a ceremonial ribbon-cutting at the Paramount, said the future is bright for The Beacon and for Jersey City. “We think we’re really in the first or second inning,” he said. Developer George Filopolos purchased the 14-acre site in 2005, envisioning a luxury paradise that city officials hoped would revitalize the outer neighborhoods. The City Council awarded each tower a 30-year tax break in 2006. But after restoring the first two towers and transforming them into condos – the first units were sold in 2007 – construction stopped, thanks to the cratering economy. In 2012, Filopolos sold five of the remaining buildings to Kuehner’s Building and Land Technology. Since then, BLT has restored three of the five, turning them into luxury apartments. The first two rental towers are almost entirely occupied, Kuehner said today. Kuehner, speaking at the foot of the grand marble staircase in the building’s lobby, thanked Fulop for revealing yesterday that the city will resume its own Fourth of July fireworks show this year. 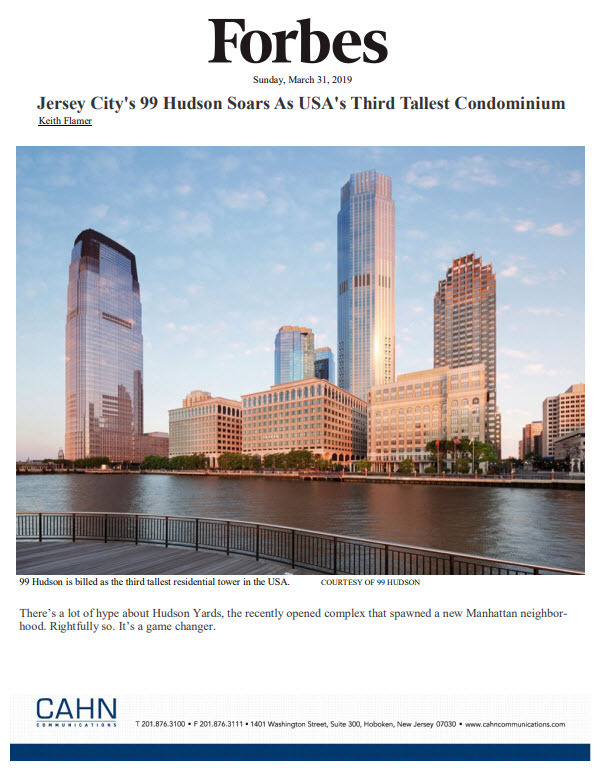 Residents of The Beacon, which has spectacular views of Lower Manhattan, will have prime seating to view the show, Kuehner said. “Thank you for timing that with our announcement today,” he joked to the mayor. Apparently not all Paramount residents knew about today’s event. During one of the speeches, a resident of a first-floor apartment entered the lobby barefoot and was taken aback by the substantial media presence. Rent for Paramount units start at $1,700 a month. The studio, one-bedroom and two-bedroom apartments range in size from 469 to 1,200 square feet. A one-bedroom unit on the 19th floor will set you back $2,500. Adil Mohammed, 27, lives at the Paramount with his sister. An engineer who is looking to get a master’s degree in business administration, Mohammed, who was walking his two-month old Siberian husky Chengiz this morning, told The Jersey Journal he’d never be able to rent a comparable unit in New York City for $1,900. “For this price? Not happening,” he said.